Barely a year old, and emerging from decades of strife in a still highly volatile region, South Sudan, the newest member of the world community, faces important choices regarding the nature, pace and design of regional integration strategies. It does so in a context of acute constraints – physical, infrastructural, institutional and in human resource terms – stemming in no small measure from its status as a landlocked, low-income, economy with a long history of armed conflict. The difficult journey South Sudan confronts in securing lasting peace on its northern border reduces the integration options available to it. The country needs credible political and security anchors able to help it free resources for its nascent development process. 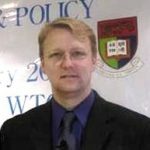 While the normalization of political and security relations with its northern neighbor would afford South Sudan by far its greatest peace dividend, not least by lifting uncertainty over the use of the country’s existing fossil fuel endowments, prospects of durable peace remain subject to considerable uncertainty. Not surprisingly, the question of seeking membership of the East African Community (EAC) and partaking in the regional public goods on offer within it has gained visible early traction in South Sudanese policy circles. The question of EAC membership has also spawned much anxiety and generated a lively public policy debate among key stakeholders in South Sudan. This policy note aims to contribute to this debate by exploring a number of questions and considerations that policy-makers in Juba may wish to consider in weighing the pros and cons of pursuing an EAC rapprochement.